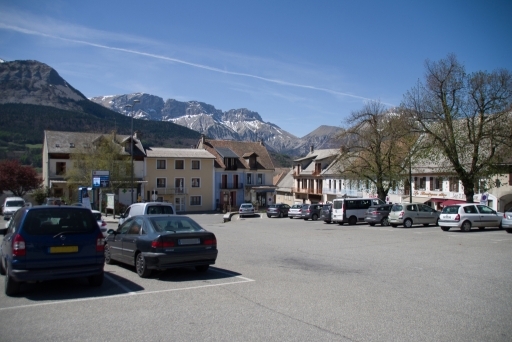 On this square take place the village fairs and markets that attract farmers, traders and livestock dealers. People come from far afield even from the Devoluy valley, the mountains of which can be seen on the horizon. In March bulls and heifers are sold and at Easter seeds and agricultural equipment are purchased. On St John’s day (end of June) it’s the fun fair, on 22nd September the sheep fair and on 28th September the cattle fair. Finally, on 6th October the sheep and cattle brought down from the high pastures are sold and on 13 October people stock up on goods and food for storage to last the winter.